Home / Artist / Gov / Toronto / Toronto / U.K. Artist . @gov669 Releases A Soothing Alt R&B Project Titled "NOMAD"
Toronto / U.K. Artist . @gov669 Releases A Soothing Alt R&B Project Titled "NOMAD"
Gov is an exceptional new voice originally from London, UK but now based in Toronto, Canada. Creating a buzz in 2016 with his debut EP release “Nights”, the project featured artists such as Amir Obe, Keffaleng and Ye Ali. Premiering the EP via Complex Music, Gov established a genuine sound that fused elements of grime, trap, R&B and hip-hop. In May 2017, Gov released his second official EP “The Roses”. To accompany the project Gov put together an incredible short film that was scored with music from the EP. The EP and the film “The Roses” were featured in Complex Music and Boi-1da.net among other taste making media outlets. The EP and the short film were heavily inspired by the city of Toronto. 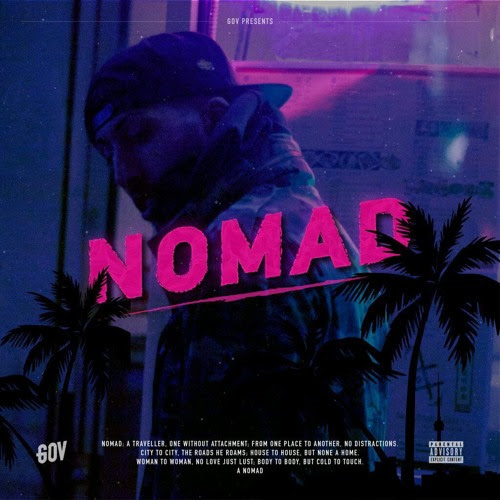 Gov has now put together a 3-song offering titled “NOMAD” to release while he works on his debut album. The project continues on the sounds established on “The Roses” as Gov smoothly hits melodies over ear catching production. The project flows together seamlessly with Gov finding new ranges in his vocals and bringing a truly unique genre blending R&B sound.